Last night, London’s glamorous venue, One Marylebone, rolled out the red carpet for celebrities and their four-legged friends in aid of the annual Hearing Dogs Awards. The star-studded evening was hosted by Dame Esther Rantzen for the national charity, Hearing Dogs for Deaf People. The pup-arrazzi were out in force to catch a glimpse of celebrities including Stephanie Beacham, Meg Mathews, Vicki Michelle, Anita Dobson, Capital FM’s Pandora and doggy duo Ashley and Pudsey. 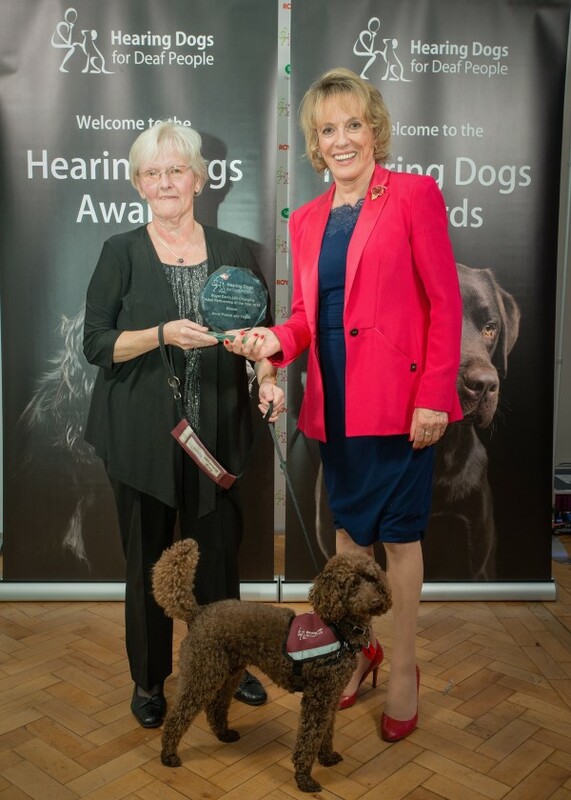 The paw-some event celebrated the unbreakable bond between deaf people and their amazing hearing dogs, with awards to recognise heroic hearing dogs and life-changing stories about deaf adults and children. Anne Pickett, aged 68, won the Royal Canin Life-Changing Partnership of the Year Award, with her miniature poodle Tegan. Anne was left completely deaf in one ear with permanent facial palsy, following surgery to remove a brain tumour. Deafness caused Anne to feel lonely and isolated, and she gradually lost her confidence and withdrew from the outside world. She stopped going out of the house alone, and her husband, Malcolm, took early retirement to become her carer.